ModularWalls provides better aesthetics and superior performance capabilities relative to traditional walls and fences - but at a more affordable price. Tried & tested - built to last! Typically, boundary walls and fences have been constructed from traditional materials and often not considered thoroughly as part of the overall project. Consequently, rendered brick or block is used sparingly due to the excessive cost, whilst timber and steel fencing doesn’t offer good return on investment due to short life spans – and can drag the overall aesthetic and amenity of the project down. The ModularWalls range of composite post and panel solutions offers greater design flexibility and premium aesthetics throughout. 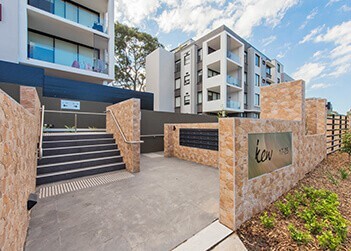 Whether you’re trying to save on cost versus brick and blockwork without sacrificing the look, or upgrade the project’s permanent fencing for premium architectural aesthetics and better return on investment with significantly longer life spans, you can be sure that the tried and tested ModularWalls will contribute to the project value and exceed all performance measures expected of traditional materials. 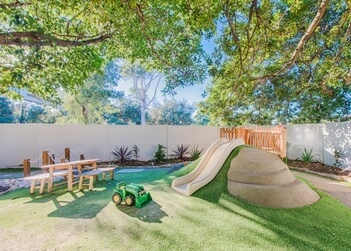 A childcare in Maroubra, NSW, utilised the SlimWall system with incorporated retaining wall panels to provide a combined solution, offering an acoustic barrier and retaining capabilities. 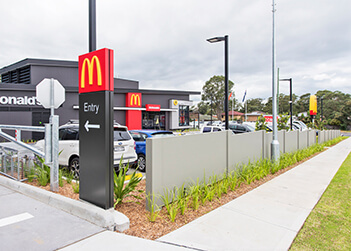 A new McDonald’s restaurant in Kellyville, NSW, required a stylish, affordable low-height front wall that matched the modern architectural design of the restaurant, with a short build schedule demanding a speedy installation. 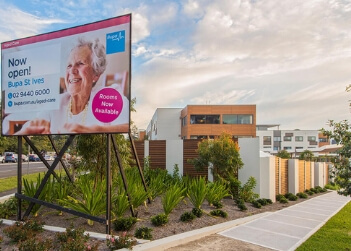 Bupa turned to ModularWalls once more for an acoustic boundary wall for a new BUPA Aged Care facility at an intersection of 3 busy roads in St Ives, NSW. 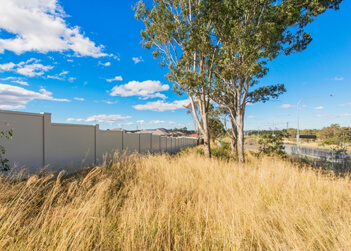 Aussie products for Aussie landscapes; VogueWall delivered a stress-free boundary wall, with integrated retaining, for a community development surrounded by sweeping Australian plains. 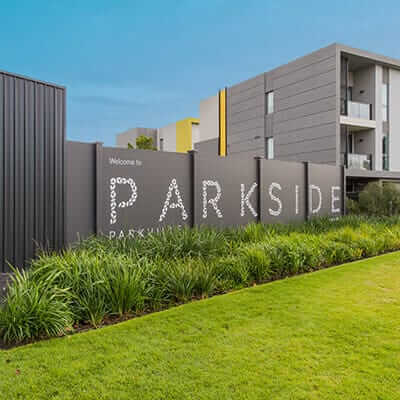 The developers of an apartment complex in Roseville needed a front boundary wall that would act as both a retaining device and feature wall to complement the overall structural style. Looking for a commercial boundary wall solution? Chat about your specific needs with our engineering staff!